Andres Muschietti’s remake of the 90’s small screen horror classic ‘‘It’’ resembles a coming of age story at heart, especially when it is compared to the director’s previous works such as the chilling horror flick ‘‘Mama’’ released in 2013. Despite it lacking as far as scare factor goes, reusing the same worn out horror tropes used across many films – the (un)scary clown, creepy house – the movie remains oddly compelling in its own way. Set exactly 27 years apart from the original televised take on Stephen King’s novel, Pennywise returns to our screens the same way it comes back to terrorise the small town of Derry, Maine. We follow a group of misfit preteens on their journey in helping their friend Bill Denbrough (Jaeden Lieberher) find his brother Georgie, who had been dragged into the sewer by the evil Pennywise. As the summer of 1989 rolls around the corner, so do the disappearances of more Derry kids. Fondly dubbing themselves as ‘’The Loser’s Club’, the group embark on a mission to solve the mystery behind whatever plagues their small town. Starting off their search with a mythical monster in mind, they soon find that this monster under the bed is more likely than they could ever imagine. Our heroes uncover links between the town’s disappearances that have stretched on for centuries, unaware that they have become a part of the clown’s very own demonic circus as they are haunted by their deepest fears. The overall plot seems quite drawn out as far as horror movies go, spanning over two hours with little suspense to start with. However, this time period leaves room for easy character growth and development which is somewhat refreshing to see in a horror movie. Whilst ‘’It’’ doesn’t bring anything new to the genre with its abundance of cheap scares and typical horror movie elements, the movie does stand out because of its characters. The young actors truly deserve hats off for their stellar performances and the work they put into bringing their characters to life. One of the fan favourites, Richie Tozier played by ”Stranger Things’’ star Finn Wolfhard delivered some of the most memorable lines throughout the entire movie. Wolfhard’s character brought a spark of wit and sarcasm to The Loser’s Club. Another outstanding performance was that of Sophia Lillis, who played Beverly Marsh, an incredibly strong young girl fighting against her deepest fears that featured no less than her own father and abuser. Her story arc was one of the most gripping and interesting out of the bunch. Lillis added depth to her character that stretches far beyond the typical scare factor and into the lives of many that can relate to her reality. The onscreen chemistry between characters was impressive and it made their bond that much more believable. Though their relationship was challenged as an attempt to break the group apart by Pennywise, they persevered through trial and tribulation as they fought against the malicious entity. Bill Skarsgård’s take on Pennywise is the highlight of the entire film. The character still feels like somewhat of an enigma. Dressed in a costume that is reminiscent of usual colonial garb, which is fitting given that Pennywise is hinted to have been around for some time, this big screen rendition of Pennywise was less interested in passing for human when compared to Tim Curry’s take on the clown. Pennywise seemed detached from humanity, lurking in the shadows, and displaying more of Its alien qualities. From every squeak and break of the clown’s voice at moments when It was losing control over Its victims, to the clown’s iconic sinister smiles, the character is fascinating, leaving audiences wanting to know more. 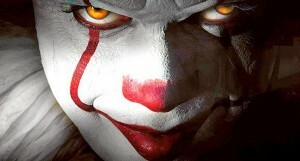 Matching Pennywise and Its disconnected nature, the scares trough out the movie have a certain theatrical value that veers on the edge of ridiculous. The culminating and ‘scary’ scenes were comparable to something out of a funhouse or standing in a hall of mirrors in the sense that the scenes were infused with a large dose of strange rather than terrifying. It raised the question whether the director was trying to make the film scary or give audiences a mash up of eccentric and dramatic components in the hopes of weirding us out and leaving us asking ourselves what exactly did we just watch. In fact, the scariest part of the entire movie was the normalisation of bullying and abuse in the town. Unless the director was aiming to leave audiences scratching their heads, I wouldn’t say ‘‘It’’ made any breakthroughs in the horror genre. ‘‘It’’ left me asking myself if it can be classified as horror altogether, seeming more on the line of supernatural fiction with its mild scares and overall feel.